In Book three of The Cradle to Cross Trilogy (Winner of Compilations and Anthologies from Independent Publishers) here's the inside Christmas story from the innkeeper himself who prefers to be known as the worlds best barkeep. When the dusty traveler, a broke-down donkey and a very pregnant woman show up in the middle of the night, Hadad wonders why he has to deal with their problems in the first place. Hes not interested in a crying kid and shows them the barn, little more than a hole in the hill. But the next morning something draws him to the family and Hadad begins an unexpected fondness to this baby boy. He panics for his life when the Roman terrorist begin their slaughter and hopes to warn the family only to discover they escaped in the night. Years pass and rumors fly. 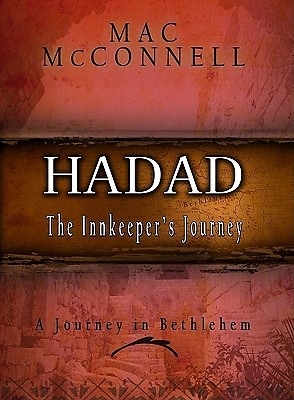 Will Hadad seek the truth? Will you?